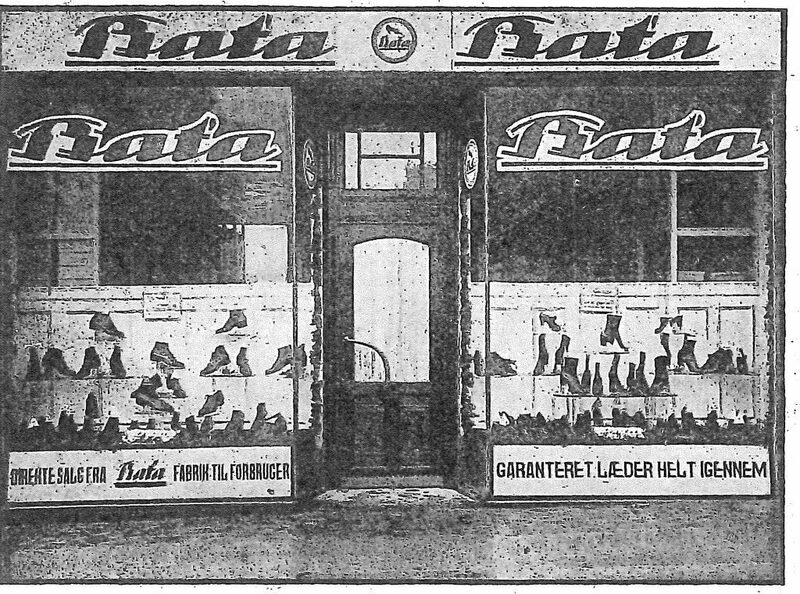 Bata shoes were being exported to Denmark already at beginning of the 1920s; to strengthen the sales a sister company was established in 1922. The Bata Company was operating in Denmark also in following decades. In the year 1922 a sister company Bata Skoog Laeder A. G., København was established, and operated in the interwar period. At the turn of 1920s/1930s, the export of footwear from Zlín increased: from 266, 000 pairs (in 1928) to 486, 000 pairs (in 1931); in the following years the sale of Bata footwear continued in Denmark. 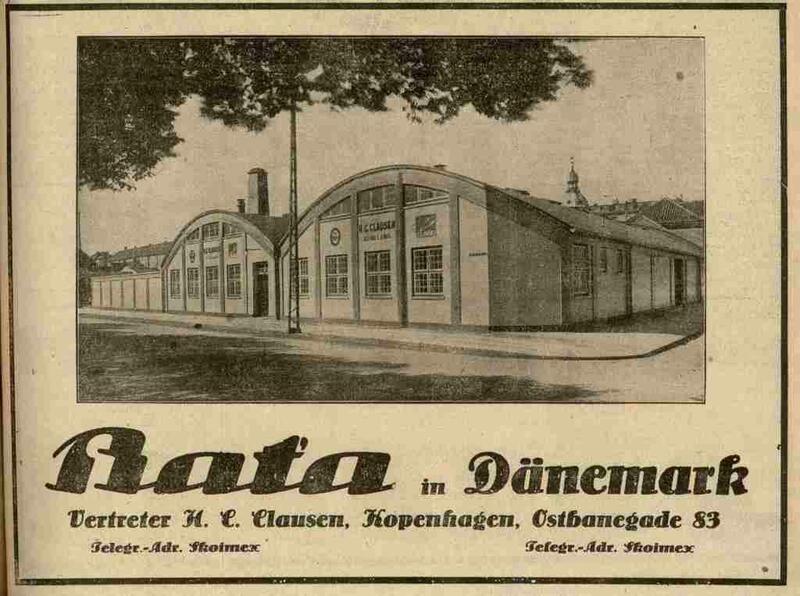 In the year 1940 a sister company Bata Handelsaktieselskab København was established. 1962 – the following companies were on the list of existing Bata firms in Denmark: Bata Handelsaktieselskab (Denmark; formely “Bata Sko og Laeder Komp A.G.“); Ejendomsaktieselskabet Strand Gardens (Denmark); A/S Ekbatana (Denmark); Kotva A/S (Denmark); Ejendomsaktieselskabet Maltahus II (Denmark).